Dr. Scott Stewart and the team at South Lakewood Dental provide a safe and environmentally-friendly clinic. 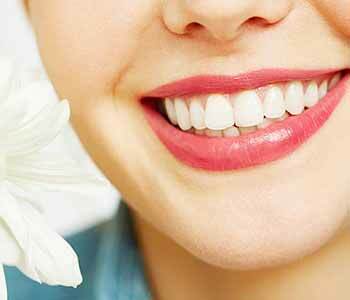 We practice holistic dentistry, which means we diagnose and treat oral conditions with the whole body in mind. We use the safest and most biocompatible materials currently available, during procedures. Patients are in excellent hands at our practice. Amalgam contains about half mercury, a potent neurotoxin. Each time a person with “silver” fillings bites down, chews, or grinds, amalgam releases mercury vapor, creating measurable exposure. Continuous exposure to mercury can cause physiological harm, according to the International Academy of Oral Medicine and Toxicology. As it is absorbed into the body, it passes through the placenta and can affect breast milk. This can lead to birth defects. We offer an alternative to amalgam called composite resin. This material is versatile, biocompatible, and natural-looking. Another metal-free alternative used in our procedures is porcelain, a strong ceramic that mimics natural tooth enamel. We use porcelain to create wafer thin veneers. We stand out from other dental practices because we do not offer crowns. Instead, we provide biomimetics. This ensures less elimination of healthy tooth structure, only removing the damaged portion of the tooth. We then rebuild the tooth layer by layer, so it can bend, flex, expand, and contract as it should. We seal the tooth from the inside out to decrease the risk of infection or decay. By offering a mercury-free environment, patients do not need to worry about exposure to toxins released by amalgam. In addition, we are a mercury-safe dental practice, meaning we can safely and effectively remove amalgam fillings. We follow strict protocols set forth by the IAOMT to ensure the removal procedures are safe for patients, our staff, and the environment. If you are looking for a dental team that understands the connection between the mouth, teeth, gums, and the body, look no further than South Lakewood Dental. We would love to meet you during a consultation. Schedule one by calling (855) 233-0023.